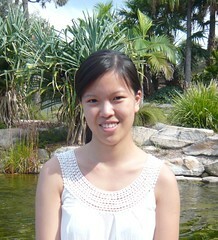 Winnie Lau is our March contributor on EQUIP book club. Winnie will be reviewing Remaking a broken world by Christopher Ash, which helps us understand 'the heart of the Bible story'. “I was born in Hong Kong but have spent most of my life in Brisbane. Two months ago, my husband Ez and I moved down to Sydney to start our ministry apprenticeships at St Paul’s Carlingford. We’d been thinking about full-time ministry for awhile so it’s exciting to be starting! I was brought up in a Christian home and I’m extremely thankful that I learnt about God from a young age. During the middle of high school, the truth of the Gospel sank in and I put my trust in Jesus. However, it was during my university years that my love for the Bible grew and my faith matured most through a good evangelical conference and the uni AFES group. I worked as a pharmacist after graduation, which I really enjoyed.